Founded in 1997, Zhaopin is a one-stop professional human resources service for large companies and fast-growing SMEs, including online recruitment, newspaper recruitment, campus recruitment, headhunting services, recruitment outsourcing, corporate training, and talents. Evaluation and so on. In China, the high-end human resources magazine "Chief Talent Officer" was first created, which is a professional service organization that has a government-issued talent service permit and labor dispatch permit. 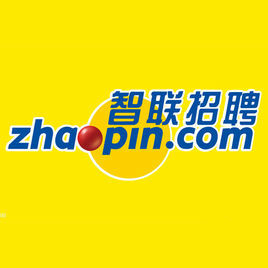 As of January 2011, Zhaolian Recruitment Network has an average daily page views of 68 million, with more than 2.55 million daily online jobs. The CV library has nearly 38 million resumes and has a daily growth of more than 30,000 new resumes. Individual users can log in at any time to add, modify, delete, and sleep their resumes to ensure the timeliness of the resume database. As the leading talent website in China, Zhaolian Recruitment.com provides personalized services such as online job search, resume center, and job search guidance for individual users; and provides corporate clients with talented solutions with online recruitment as the core. Whether it is a job seeker or a corporate HR, you can get professional recruitment services provided by Zhaopin recruitment. Zhilian has joined forces with the mainstream high-end print media in many key cities across the country to launch a professional "Zhilian Recruit Weekly" weekly, becoming one of the most professional recruitment weekly magazines in cities. "Zhaolian Recruitment Weekly" is not only distributed weekly with hundreds of thousands of copies of the main report, but also added tens of thousands of copies. It is distributed seven days a week in more than a thousand local newspaper booths in over 100 commercial offices. White-collar consumer sites are free to read and distribute free of charge in local talent markets, colleges and universities, foreign population gathering areas and other hot spots, effectively improving corporate recruitment results. The headhunter is one of the earliest foreign headhunting companies in China. The company's headhunting business has spread all over the country and has been headquartered in cities such as Beijing, Shanghai, Tianjin, Shenzhen, Nanjing, Chengdu and Suzhou. Zhilian has a team of nearly 100 consultants across the country. Among them, Beijing and Shanghai are strong. They have many experienced senior consultants and are one of the most influential headhunters in China. They have a very high reputation in the industry. Zhilian Training Service started in 2001. Its service scope includes open class, certification, in-house training and talent assessment. It has provided very targeted training programs and curriculum systems for a large number of multinational corporations, private enterprises, state-owned enterprises and their employees. Zhilian training service is characterized by pertinence and effectiveness, and the curriculum involves strategies, marketing, management, teamwork, human resources, professional quality and many other aspects. At the same time, relying on professional talent assessment services, improve the company's talent recruitment, job selection, teamwork An important part of the improvement of core competitiveness such as diagnosis. ·"Zhilian Campus Recruitment Job Manual"
Has provided services for well-known multinational companies such as Daimler Chrysler, Kraft Foods, Cadbury, Toyota Motor, Nestle, BP, and Shell. Recruitment Process Outsourcing (RPO). This recruiting project service can provide a comprehensive solution in the recruitment process, that is, integrating all recruitment channels, collecting media procurement from resumes, screening of resumes, written examinations and interviews, and providing customers with a package of recruitment services. In particular, when companies have large-scale recruitment needs, widely-distributed positions, tight project schedules and shortages of internal recruiters, recruitment outsourcing is the best solution. “Short-hiring VIP” is a priority search service for job search results with limited resources. She can enable companies to bring in a large number of resume applications in a short period of time with a small amount of investment, effectively enhancing the recruitment effect and brand awareness of the company. In order to better display corporate culture and employer brands, and improve the quality of resumes received by companies, on the basis of the general “urgent appointment” ranking, the “immediately employed VIP” service allows companies to have special job pages, electronic maps, and additional posts for general jobs. Special interviews and other VIP VIP services. Zhilian’s talent assessment business is targeted at the nation through Zhaopin’s recruitment network, and it also forms a scientific, systematic, and comprehensive evaluation product and service system based on domestic and foreign top talent assessment experts and professional organizations. The website has launched a talent evaluation system that employs assessment, on-the-job assessment, competitive evaluation, and personal evaluation as the basic framework, which fully reflects the pragmatism of website establishment and development, and the organic matching of various assessment methods and evaluation-related service functions. Founded in March 2003, the "Chief Talent Officer" takes an international perspective and localization, and interviews highly-respected corporate human resources executives and experts and scholars. With the slogan "Highly, Vision, In-depth, and Vivid", he is committed to becoming China's human capital. Manage the collectors, producers, processors, and communicators of leaders' opinions, success stories, pioneering practices, change stories, and more. With more than 100,000 readers per issue, it has become a flagship professional journal with a professional level in China's human resources field, focusing on human resource management reporting and in-depth analysis. The Zhaopin Recruitment Community has recently been launched as an extension of the ZF Forum, which not only continues the original BBS functions, but also blogs, online interviews, etc. The latest debut; Zhilian Community will build a communication space and platform for you with friends, HR, and professional veterans. , allowing you to enjoy the Internet's workplace space and share issues, sentiments, happiness, and achievements in the workplace. Zhilian Recruitment, once an exclusive talent support agency of the “Absolute Challenge” section of CCTV’s economic channel, has been responsible for screening, recommendation, review, interviewing, evaluation, etc. of recruitment companies and job-seekers since its broadcast in 2003. It is also shared with CCTV. Create the only real recruitment TV program in China. In cooperation with CCTV, Zhaopin recruiting professionalism deeply concerns the status of people in the workplace. It provides an average of 75 research reports on workplace survival every year. Since 2005, with the most influential news comment section of China Central Television, "Oriental Space Time" has jointly created the most influential professional workplace survey first brand. A series of dozens of surveys broadcast jointly by CCTV at a prime time, sharing the latest survey findings with employers and job seekers. In 2007, Zhaopin recruited Phoenix Satellite TV to launch a special program - Life in the Workplace. Invite well-known companies to conduct on-site recruitment and tell the story of ordinary job seekers. In 2008, Zhaolian Recruitment and Beijing TV Station launched a comprehensive cooperation to jointly create four exciting business columns! · BTV-8 broadcast interview program “The 8th Zone”, where Nawei talks about various topics of concern to the working people, and there is an exclusive recruitment information provided by Zhaopin.com! · BTV-5 broadcast star talk show "work this thing", Zhaolian recruitment exclusive workplace data survey! · BTV-8 Weekly Career Reality Show "Repick", Zhaolian Recruitment as the exclusive human resources supplier and the only online registration channel, creating professional exchange "brilliant life" for the workplace, exchanging white-collar workers with experiential career exchange Workplace fog! · BTV-3 Weekly TV Recruitment Program "Workplace Training Camp" to create "Absolute Challenge" in Beijing! By Zhaopin recruitment throughout the provision of human resources services support! Tianjin TV is “Beyond You”, hosted by CCTV’s multi-grade social programs, and wisely grinning craftsman Zhang Shaogang presides over it. Each time, 12 top-ranking corporate executives form a boss group to conduct on-site recruiting. They have extraordinary background and experience in their life experience. Face to face the candidates for the most rigorous evaluation and the most rigorous selection! The program is both professional and entertaining, which establishes a healthy and active job-seeking perspective for the audience and guides the correct values ? ?to play a role. China Education TV Station’s “Jobs and Jobs” is a large-scale workplace entertainment reality show that was jointly created by Jiangsu Satellite TV and China Education Channel to help job-seekers treat themselves and the workplace correctly and provide employment opportunities for diverse career opportunities. . Job seekers accept the evaluation of 18 industry elites in various industries, and obtain more than half of the support rate, so that they can obtain the qualifications of 100 well-known companies in the country. · iResearch Consulting Selection: "2008 China's Best Growth Recruitment Website"
· China Tripartite Internet Research Selection: "Internet users' favorite recruitment website"
Zhaolian, a well-known human resources service provider, has reached a strategic partnership with the Institute of Psychology, Chinese Academy of Sciences to integrate quality resources from both sides. It is committed to providing workplace mental health counseling and services to help corporate HR and managers pass professional assessment services. And Employee Assistance Program (Employee Assistance Program) to meet the growth of ordinary employees and their families, and enhance their sense of well-being.